The theory of Cosmic Ancestry is a serious scientific theory, but it is not proven. As here presented, it probably contains mistakes. It is a working hypothesis, and many of its details are speculative. The direct evidence supporting it is thin. How could Cosmic Ancestry be proven? If true, it should have measurable consequences. How could we test them? One clue would be to find evidence of Earthlike life on another planet. For that we recommend the fossil on Mars photographed by NASA's Opportunity rover on 27 February 2004. Please look closely at that! Astronomers now generally acknowledge that some interplanetary dust particles contain organic compounds possibly related to life (1-3). But for some reason, most astronomers are not impressed by the very close match between the spectrum of light absorbed and scattered by interstellar dust, and the spectrum of Hoyle and Wickramasinghe's model that includes bacteria. (The spectrum below shows the relative flux from GC-IRS 7 compared to predictions for a bacterial model (3.5).) The unconvinced astronomers prefer different models, without bacteria, that do not match the astronomical spectra as well. Since this is so, one wonders if it is fruitful to try to improve Hoyle and Wickramasinghe's spectral analysis of interstellar dust. One obvious test of Cosmic Ancestry would be to look for more tangible evidence of bacteria and viruses in comets. We already have some indirect evidence — the fossils from carbonaceous chondrites (meteorites) like Orgueil, Ivuna, Efremovka and Murchison, discussed elsewhere on this website. But to settle the matter we need much more evidence. On March 14, 1986, a European spacecraft named Giotto flew within 600 kilometers of Halley's comet. Two Russian Vega explorers and three other spacecraft also flew by and observed Halley at that time. All of the spacecraft encountered unexpected organic material, sometimes forming a coating on silicate grains, sometimes as naked dust. The material is named CHON, for carbon, hydrogen, oxygen, and nitrogen, the four main elements in life. CHON is apparently a principal component of the organic dust in the cometary atmosphere of Halley (4). A U.S. mission to attempt to get closer to Halley and possibly collect a sample of cometary material had not been funded due to budget problems. Another cometary mission was planned to take off in 1995 and rendezvous with comet Kopff in 1996. It might have included a "comet penetrator" that would have speared the comet and gathered data for transmission to Earth (5). But that one also was canceled in favor of other budget items. Now NASA has decided to launch the Stardust mission in 1999 (5.5). In 2004, this explorer will approach within 100 kilometers of comet Wild-2 at a flyby speed of 6 kilometers per second. 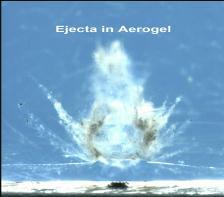 There it will catch in a soft gel (left) tens of thousands of dust particles for return to Earth by parachute in the Utah desert in January, 2006 (6). The European Space Agency is also planning a comet rendezvous mission called Rosetta, to be launched in the year 2003. Originally this mission was intended to retrieve a core sample from a comet. Later, Rosetta was scaled back to a year-long rendezvous with comet Schwassmann-Wachmann 3. Now the plan, changed again, is for Rosetta to rendezvous with the comet Wirtanen on August 25, 2011, and fly alongside that comet for two years as it approaches the sun. After the first year it will send a lander named Champollion to the comet's surface to transmit data for 84 hours back to Earth via Rosetta. But trouble plagues this mission. On June 4, 1996, 37 seconds into its maiden flight from French Guyana, the Ariane 5 rocket swerved sharply and exploded; the same kind of rocket is scheduled carry Rosetta. And funding for some important aspects of the mission is still not complete (7). In September, 1996, NASA withdrew as a partner in the development of Champollion (7.5). This mission is still uncertain. Let's hope at least one of these missions to a comet is successful. Then, let's study the results closely. 11 May 2017: The oxygen produced on comet 67P prompts a new theory from a chemical engineer. 24 Mar 2017: Rosetta saw a landslide on comet 67P that occurred in July 2015. Mission Complete: Rosetta's journey ends in a daring descent to the comet, ESA, 30 Sep 2016. High-molecular-weight organic matter in the particles of comet 67P/Churyumov–Gerasimenko, by Nicolas Fray, Anaïs Bardyn et al., doi:10.1038/nature19320, Nature, online 07 Sep 2016; and commentary: Rosetta Finds Solid Organic Matter in Dust Particles from 67P/Churyumov-Gerasimenko, Sci-News.com, 08 Sep 2016. Photos reveal location of lost comet lander Philae by Elizabeth Gibney, Nature News, 06 Sep 2016. Evidence That Comets Brought Life to Earth... by Courtney Hilden, The Mary Sue, 29 Jun 2016. Rosetta's Comet Contains Ingredients for Life, ESA (+Astrobiology), 27 May 2016. 20 Apr 2016: ...A strong argument for the presence of CH4 and C2H6 clathrates in the nucleus of 67P. Exposed water ice on the nucleus of comet 67P/Churyumov-Gerasimenko, by G. Filacchione,	M. C. De Sanctis and F. Capaccioni, doi:10.1038/nature16190, Nature, online 13 Jan 2016. Three things Rosetta taught us +3 we don't know about Comet 67P: c. 5 min. video, Nature.com, 18 Nov 2015. 29 Oct 2015: Mainstream science cannot explain the abundant O2 in the atmosphere of comet 67P. M. C. De Sanctis et al., "The diurnal cycle of water ice on comet 67P...," doi:10.1038/nature14869, Nature, online 24 Sep 2015. A dramatic outburst from Comet 67P/Churyumov-Gerasimenko, Rosetta Blog, photographed 22 Aug 2015. The organic comet, 3-minute video from ESA on YouTube, published 11 Aug 2015. 9 Jul 2015: Richard Hoover reinforces the claim that life may exist on Comet 67P Churyumov-Gerasimenko. Philae comet could be home to alien life... by Rebecca Ratcliffe, The Guardian, 5 Jul 2015. 14-19 Jun 2015: Rosetta's lander Philae wakes up from hibernation. 17 May 2015: Comet 67P as seen from ESA's Rosetta spacecraft at a distance 19.9 km, on 28 Mar 2015. OSIRIS Catches The Wake-Up of a Dust Jet, ESA / JPL, photos taken 12 Mar 2015. 14 Apr 2015: Philae came to rest almost two hours after touchdown, 12 Nov 2014. 13 Mar 2015: Open Access paper by Wickramasinghe et al. in Astrobiol Outreach, online 9 Feb 2015. 4 Dec 2014: Images and data from comet-rendezvous missions reveal features consistent with cometary panspermia. 11-19 Nov 2014: Rosetta / Philae lander / comet 67P updates. 17 Oct 2014: Comet Siding Spring will pass close to Mars on Sunday, 19 Oct.
GIADA "touches" the comet! by Alessandra Rotundi, ESA, 13 Aug 2014. 6 Jun 2014: A 4-minute video, "...Rosetta Comet Comes Alive." Comet begins to steam off as Rosetta homes in by Elizabeth Gibney, Nature News, 15 May 2014. Empa technology aboard the Rosetta space probe, Empa Switzerland (+Newswise), 7 May 2014. 20 Jan 2014: Rosetta awakens! Comet craft ready to wake by Elizabeth Gibney, Nature News, 15 Jan 2014. 19 Jul 2011: A NASA mission to retrieve a surface sample from an asteroid is scheduled for launch in 2016. Video: Rosetta Probe Gets First Glimpse of Its Ultimate Target by Sid Perkins, ScienceNow, 8 Jun 2011. NASA Osiris: Looking for life with the god of death by Maggie Koerth-Baker, BoingBoing.net, 9 Jun 2011. 5 Apr 2011: Comet Wild-2 was once wet. Stardust's final act helps other NASA missions, Nature.com, 25 Mar 2011. Spacecraft Successfully Returns Asteroid Dust by Dennis Normile, ScienceNow, 16 Nov 2010. Adam Mann, "Glimpsing a comet's heart" [html], doi:10.1038/4671013a, p1013-1014 v467, Nature, online 26 Oct 2010. 14 Jul 2010: The ESA space probe Rosetta flew past the Lutetia planetoid at around 6 p.m. CEST on Saturday. Small particles found in the sample container of the HAYABUSA, Japan Aerospace Exploration Agency (JAXA), 6 Jul 2010. Rosetta's blind date with asteroid Lutetia, European Space Agency, 15 Jun 2010. Japan celebrates asteroid round trip success by Mark Peplow, Nature.com, 14 Jun 2010. Asteroid probe begins return from rendezvous by David Cyranoski, doi:10.1038/news.2010.291, NatureNews, 10 Jun 2010. Pushkar Ganesh Vaidya, "Stardust findings. Implications for panspermia" [arXiv:0903.4951v1 abstract], p225-228 v16 n2, Apeiron (Montreal), April 2009. Rosetta will swing by Earth, ESA, 4 Nov 2009. 18 Aug 2009: NASA scientists have discovered glycine... in samples of comet Wild 2. Stardust comet dust resembles asteroid materials, Lawrence Livermore National Laboratory, 24 Jan 2008. Proposed Mission Will Return Sample From Near-Earth Object, SpaceDaily.com, 11 Mar 2007. Joanne Baker, "Look into the Seeds of Time" [summary], 10.1126/science.314.5806.1707, p 1707: introducing a Special Section on Stardust (nine articles), p 1707-1739 v 314, Science, 15 Dec 2006. 13 Mar 2006: Fire and ice — the first examined particles returned from comet Wild 2 by NASA's Stardust mission. Stardust Status Report (see photo at right), 25 Jan 2006. Ichiko Fuyuno, "A shot in the dark," p 132-133 v 432, Nature, 12 Jan 2006. "Japan's mission to collect a sample from a distant asteroid looks to have ended in failure." 15 Jan 2006: Stardust landed safely. Hayabusa ready to head home with asteroid sample: Concern over engine damage mars celebrations, by Ichiko Fuyuno, News@Nature.com, 30 Nov 2005. Spacecraft makes a grab for asteroid sample, News@Nature.com, 28 Nov 2005. Japan Probe 'Almost Certainly' Collected First-Ever Asteroid Samples, SpaceDaily.com, Tokyo, 26 Nov 2005. 3 Oct 2005: More about Deep Impact comes from an interview with Jessica Sunshine. NASA probe could reveal comet life, scientists claim, Chandra Wickramasinghe, EurekAlert!, 29 Jun 2005. 17 Jun 2004: Mass spectrometer on Stardust sees organic matter at comet Wild 2. Two asteroid fly-bys for Rosetta, ESA, 11 Mar 2004. 2 Mar 2004: Rosetta launched. Hi-tech in space - Rosetta - a space sophisticate, ESA, 16 Feb 2004. The Rosetta space probe's long trek to Comet 67P/Churyumov-Gerasimenko,ESA, 3 Feb 2004. 3 Jan 2004: Stardust sailed safely by comet Wild 2. 2003, March 10: New target for Rosetta: "Chury". 2003, January 14: Rosetta cancelled. ...Rosetta: The launch date is delayed by a few days, ArianeSpace Press Release, 30 Dec 2002. Rosetta's Ariane 5 rolls out SpaceRef.com, 20 Dec 2002. Scientists Review Plans for Comet Probe Launch re: Rosetta Mission (doubtful after crash of Ariane V), Reuters News Service, 12 Dec 2002. 2002, August 25: Conference anticipates Stardust. 2002, August 21: CONTOUR found; mission is probably doomed. Landing On A Cosmic Iceberg re: Rosetta Mission, ESA, 20 August 2002. 2002, August 16: Contact with CONTOUR comet probe lost. 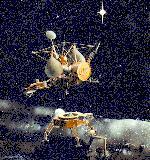 Stardust Spacecraft Reaches for Cosmic Dust JPL, NASA, 6 August 2002. Lockheed Martin space instrument to study comet... re: Rosetta, 23 July 2002. Warren E. Leary, "Robot Spacecraft Will Study Icy Comets" [text], The New York Times, 25 June 2002. Getting to Know Comet Borrelly, by Vanessa Thomas, Astronomy.com, 16 Mar 2002. "The first round of science results from Deep Space 1's successful meeting with Comet Borrelly." 2001, July 5: CONSERT ready for Rosetta. Instruments aboard CONTOUR spacecraft will provide first surface 'fingerprint' of comet nucleus, Cornell University, 12 June 2001. NASA Gives Go-ahead To Build 'Deep Impact' Spacecraft, NASA JPL, 24 May 2001. Giotto homepage, European Space Agency. More about Rosetta, European Space Agency. 2000, July 11: A revived Deep Space 1 mission will visit comet Borrelly. Rosetta and Giotto bridge the generation gap, European Space Agency, 3 July 2000. 2000, February 22: Stardust collected interstellar dust today. 2000, February 15: The Comet Nucleus Tour (CONTOUR) mission set to build spacecraft. 1999, May 28: Stardust is experiencing electrical problems. NASA Budget Squeeze Threatens Comet Mission, SpaceViews, 7 April 1999. 1999, February 6: Stardust to be launched today. 1997, November 6: NASA approves comet sample return mission. If microbial life is abundant in space, shouldn't there be evidence of it in the samples of moon rocks recovered by the Apollo missions? Without an atmosphere capable of shielding the moon's surface from ultraviolet rays, the remnants of microbes there would necessarily be badly degraded. Nevertheless, amino acids were found in samples returned by every one of the Apollo missions that landed on the moon. NASA originally named four very distinguished teams to independently look for signs of life in samples from the Apollo lunar missions. The teams were headed by Bart Nagy, Cyril Ponnamperuma, John Orò and Sidney W. Fox. Reporting first, Nagy's and Fox's teams both found amino acids in the Apollo 11 samples — but their wording was cautious. A negative result from another team somehow seized the publicity, and the matter was then forgotten. Yet subsequent results by Nagy's and Fox's teams were positive for all of twelve samples tested (at least one from each of the six successful missions.) Elaborate precautions taken on one mission enabled NASA to rule out contamination, for that sample anyway. Still, the confirmed discovery got almost no attention. Years later, Orò described the existence of amino acids in the lunar topsoil as "well known" (7.7). Another confirmation for Cosmic Ancestry would be evidence that bacteria and viruses have drifted from space into the earth's atmosphere, If they have, we should be able to find some of them still drifting there. Australian researcher E. K. Bigg examined particles collected from 1960 to the early 1980s in the upper atmosphere. He found that many of them resemble bacteria and, occasionally, viruses — but larger viruses than any known at the time (9). It is possible that the large viruslike particles seen by Bigg are contaminants from below. They were collected at an altitude of 36 kilometers, whereas 50 kilometers is now considered the minimum altitude at which we can rule out contamination from the surface as the source for particles that small (10). Still, they're interesting. If viruses fall from the sky, most of them would land in the sea. Shouldn't we be able to find viruses in seawater? In fact, seawater is full of viruses. One study found that coastal seawater contains as many as ten million large viruslike particles per quart (11). In 1993, Marcia Gowing reported finding the same particles in the guts of small marine organisms called Phaeodarians in seawater samples at every location and every depth tested (12). No one knows where they come from or what they do. Their size and shape matches the virus-like particles Bigg found in the upper atmosphere. It would be interesting to know more about them. In January, 1998, virus particles in surprising abundance have been reported found in the most barren lakes on Earth, in Dry Valley, Antarctica. So far only free-floating, extra-cellular ones have been observed — their host is unknown. Signalling a paradigm shift, the researchers who found them wonder if they resemble "extraterrestrial life," or "ancient martians" (12.2). 10 Aug 2013: ...a diatom fragment from 25 km high in the atmosphere. 31 Mar 2004: Isotope tests inconclusive. 17 Mar 2004: Stratospheric bacteria to be analyzed next week. 8 Jan 2004: Isotope analysis of stratospheric bacteria is postponed. 2003, September 26: LLNL will measure isotope ratios in bacteria from the high atmosphere. 2002, Mar 22: Microbes in the high atmosphere. 1999, February 3: An experiment will look for germs in the high atmosphere over India. If life comes from space, it would have to travel over distances measured in light-years. This travel could take millions of years, even billions of years. For this to be possible, the traveling cells would have to be able to survive for that long. They would have to be immortal probably. Is there any evidence for immortality in bacteria? Yes. On May 19, 1995, The New York Times reported that two scientists at Cal Poly revived bacterial spores that were at least 25 million years old. (12.7). Other biologists have cultured even older bacteria. Even 650-million-year-old halophiles locked in salt crystals remain viable (13). Microbiologist John Postgate also says many bacteria may be immortal (14). In fact, the apparent immortality of bacteria, even without freezing, is widely known. And with freezing, as would occur in space, the immortality of bacteria is to be expected. 2000, October 19: 250 Million-year-old bacteria have been revived. The human genome project may offer another opportunity to test Cosmic Ancestry. It is a global, coordinated enterprise of biotechnology, to read, or "sequence" the entire human genome. Even with hundreds of labs around the world working on it, even with huge grants from governments, it will take years. Only recently was the complete sequence of the genome of any species known. In July 1995, the DNA sequence of the genome of the bacterium H. influenzae (no relation to the flu virus), was announced. It was 1,830,137 nucleotide pairs in length, containing 1,743 genes. 1,007 of the genes have functions that were already identifiable at the time of the announcement. The other 736 genes' functions were still unknown. Forty scientists were listed as authors of the article announcing the accomplishment in Science (16). Of course the article didn't give the whole sequence, because it would have taken about 600 pages to write out. The human genome is about six billion nucleotide pairs in length, counting the backup copy. Writing it out would take 1,300 volumes of 1,500 pages each. Sequencing only one copy, 650 volumes, will be a huge task. As it is sequenced, many genes will be easy to identify by function. We already know what some of them do. Others will have unknown functions, to be ascertained by future research. When that's accomplished, we will be able, in principle, to comprehend the genome of a human being. Or at least the working parts of the genome. But the working parts constitute only about 5 percent of it. That much, if it were segregated from the rest, would fill only about 30 or 35 volumes. What about the silent DNA, the other 600 plus volumes? Some of it could consist of recognizable or suspected genes for future evolution. But what about the remainder? What does it mean? Does it have any meaning? How would we know? Physical Review Letters, 5 December 1994, contained a report entitled "Linguistic Features of Noncoding DNA Sequences" (17). Seven scientists had conducted an analysis of silent DNA which indicates that it has a property shared by all written or spoken human languages, and not by random sequences. The silent DNA follows Zipf's law. A teacher of German at Harvard, George Kingsley Zipf discovered important, quantifiable relationships among words in any language. Under Zipf's law, there is a correlation between the frequency with which a word is used, and the rank it holds on the chart of all words, listed by frequency of use. It's a descending logarithmic curve. In English, "the" is the number one word on the chart. It's the most frequently used word. The number two word is used less frequently, number three less again, etc. That much is obvious. But the shape of the curve is specific, and is always the same in real languages. The curve for silent DNA has that shape. People don't even know what the "words" are in silent DNA. In coding DNA, the three-letter sets, or codons, that ultimately specify amino acids might be called words. But in silent DNA there may be "words" of other lengths. The analysis that showed silent DNA to resemble a language was run on short DNA segments from three to eight nucleotides in length. The significance of this result has been questioned, however. The seven scientists did a second analysis for linguistic features to measure the "redundancy" of the silent DNA. Languages have redundancy. Redundancy is the presence in any language of backup clues to meaning. In English, if I mixspell some wurds, you'll probably be able to get my meaning anyway because of redundancy. Random sequences don't have redundancy. But the silent DNA seems to have it. As we sequence the human genome, we should try to comprehend all of it. The vast silent DNA may have important meaning, too. We already have possible clues to that effect, as in the linguistic analyses above. We should follow up on them. New human gene tally reignites debate by Cassandra Willyard, Nature, 19 Jun 2018. Identification of individuals by trait prediction using whole-genome sequencing data by 27 authors including J. Craig Venter, doi:10.1073/pnas.1711125114, PNAS, 19 Sep 2017. 10 Feb 2015: The challenge is trying to learn how to read that software that we have. Fyodor D. Urnov, "Biological techniques: Edit the genome to understand it" [html], doi:10.1038/nature13659, p 40-41 v 513, Nature, 4 Sep 2014. "...The juxtaposition of genome editing and deep-sequencing technologies will, without doubt, provide a basis for progress in our quest to understand how our DNA makes us who we are." "Best is yet to come" [html], doi:10.1038/470140a, p140 v470, Nature, 10 Feb 2011. "Ten years after the human genome was sequenced, its promise is still to be fulfilled." Elizabeth Pennisi, "Shining a Light on the Genome's 'Dark Matter'" [summary], doi:10.1126/science.330.6011.1614, p1614 v330, Science, 17 Dec 2010. My genome has how many genes? by Alla Katsnelson, Nature.com, 12 Oct 2010. ...Biggest Genome Ever by Elizabeth Pennisi, ScienceNow, 7 Oct 2010. Robin D. Dowell, Owen Ryan et al., "Genotype to Phenotype: A Complex Problem" [abstract], doi:10.1126/science.1189015, p469 v328, Science, 23 Apr 2010. Erika Check Hayden, "Human genome at ten: Life is complicated" [html], doi:10.1038/464664a, p664-667 v464, Nature, 1 Apr 2010. "We've made the mistake of equating the gathering of information with a corresponding increase in insight and understanding." Anna Petherick, "The production line" [text], doi:10.1038/4541042a, p 1042-1045 v 454, Nature, 28 Aug 2008. "...In 2005, geneticist Thomas Gingeras announced that some cells churn out RNA molecules from about 80% of their DNA." Elliott H. Margulies and Ewan Birney, "Approaches to comparative sequence analysis: towards a functional view of vertebrate genomes" [abstract], doi:10.1038/nrg2185, p 303-313 v 9, Nature Reviews Genetics, Apr 2008. Michele Clamp et al., "Distinguishing protein-coding and noncoding genes in the human genome" [abstract], 10.1073/pnas.0709013104, Proc. Natl. Acad. Sci. USA, online 26 Nov 2007. "...Cutting the number of protein-coding genes to [approx.] 20,500." Evolutionary Comparison Finds New Human Genes, Cornell University on Newswise.com, 20 Nov 2007. Language evolved in a leap, re: Zipf's law, by Philip Ball, Nature News Service, 22 Jan 2003. New computer program detects overlooked gene segments: Previous estimates of human gene number too low, by Peter W. Sherwood, Cold Spring Harbor Laboratory, posted on EurekAlert!, 28 November 2001. 2001, October 13: 70,000 human genes? 2001, February 12: The human genome has only about 30,000 genes. Scientists disagree on how many genes make a person, Nandotimes.com, 17 December 2000. Nicholas Wade, "Number of Human Genes Is Put at 140,000, a Significant Gain" [text], The New York Times, 23 September 1999. If evolution happens according to the neo-Darwinian paradigm, its outcome is impossible to predict. Stephen Jay Gould says, "... any alteration in any step along the way would have unleashed a cascade down a different channel" (18). Cosmic Ancestry would make a different prediction. It holds that evolution is the expression of the genetic programs that are available. If a given set of genes are available, most alterations in minor steps along the way, such as reversing the order of two independent evolutionary developments, wouldn't change the outcome very much. "Even more remarkably... the gene combinations evolving in the experimental lines were similar to those seen in the naturally occurring [hybrid sunflower], which probably arose more than 100,000 years ago. "...Gould, for example, has repeatedly asserted that "rewinding the tape of life" would always produce a different array of evolutionary end products.... When this tape is rewound, it plays pretty much the same program" (20). How repeatable is evolutionary history? by Diana Lutz, Washington University in St. Louis (+PhysOrg.com +Newswise), 23 Jun 2014. If evolution works by Cosmic Ancestry, genes needed for evolutionary progress would have to be imported to Earth in bacterial spores, viruses, or some similar small hardy container. After arrival, these genes would have to reside in bacteria or viruses, as silent DNA, before installation into the species where they will ultimately become useful. That is, during evolution, bacteria and viruses should contain silent genes that they do not need, but that higher forms of life do need. Are there any examples of this? In August, 1996, Science carried a writeup by the group of scientists who had just obtained the complete sequence of the genome of the archaebacterium Methanococcus jannaschii (21). Archaebacteria are likely candidates for the first cells on Earth because they can survive in harsh environments and metabolize thing like rocks. Among the surprises contained in the genome of M. jannaschii were five genes for histones. Histones are essential proteins used by eukaryotic cells to help form their complex chromosomal structure. Neither eubacteria nor archaebacteria are known to use histones. Neo-Darwinism does not account for the presence of histone genes in bacteria. Even more interesting, two of the five histone genes are not part of the main circular chromosome, but are carried on a much smaller "extra chromosomal element." This is interesting because viral genomes must temporarily become a kind of extra chromosomal element before the process of transduction from one cell to another. It looks like two of the histone genes in this archaebacterium are ready to be transducted to a higher form of life where they can be useful. Genes Older Than Earth? is a possibly related local webpage, posted 8 Feb 2011. What'sNEW on CA's "Viruses..." webpage lists several hundred examples of gene transfer. Another test for Cosmic Ancestry comes from the field of chemistry. The formation of chemical elements in stars is difficult to duplicate in the lab because the temperatures and pressures are high. This difficulty does not apply to the formation of compounds that takes place in comets and in interstellar space — the temperatures and pressures there are much lower. It should be a straightforward task to develop a theory to account for the chemistry of comets and interstellar dust. Nevertheless no such theory predicted that we would find, as we have, abundant complex organic polymers around comets and in interstellar dust. These findings came from observations, and they were only reluctantly accepted. The mainstream chemistry theories to account for them come only after the fact. And new surprises keep arising, such as the high amount of methane and ethane in the atmosphere of comet Hyakutake (22-23). Meanwhile we have learned that the system whereby biological cells manufacture methane is even more complex than previously suspected. "The conversion of [carbon dioxide] to methane is an integrated sequence of seven steps, involving unusual cofactors, unstable enzymes, and complex interactions with transmembrane ion gradients" (24-27). One of the essential enzymes employs nickel, a metal very rare in biology. According to Cosmic Ancestry, beyond Earth, most of the organic compounds, and especially the complex ones, are biologically produced. It is reasonable to compare the predictions made by the chemistry of Cosmic Ancestry to those made by nonbiological chemistry. How well do the opposing theories account for the observed abundances in comets and interstellar dust of complex organic polymers, or even simple organic compounds such as methane? Hydrogenotrophic methanogenesis in archaeal phylum Verstraetearchaeota reveals the shared ancestry of all methanogens by Bojk A. Berghuis et al., doi:10.1073/pnas.1815631116, PNAS, 12 Mar 2019. Holm N.G., Oze C., Mousis O., Waite J.H., and Guilbert-Lepoutre A., "Serpentinization and the Formation of H2 and CH4 on Celestial Bodies (Planets, Moons, Comets)" [abstract], doi:10.1089/ast.2014.1188, Astrobiology, 22 Jul 2015. 22 Mar 2008: Methane and water, but no carbon monoxide, can be seen in the atmosphere of an extrasolar planet 63 lightyears away. Ludmila Chistoserdova et al., "The Enigmatic Planctomycetes May Hold a Key to the Origins of Methanogenesis and Methylotrophy," p 1234-1241 v 21 n 7 Mol. Biol. Evol., July 2004. 9 Jan 2004: Complex organics in interstellar dust confirmed. 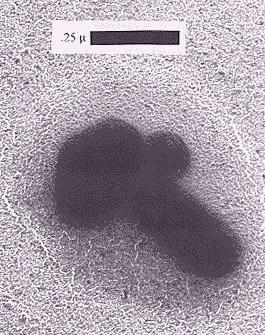 2000, November 3: Archaebacteria may produce methane underground, far from any oil. Researchers Find New Pathway To Making Methane, ScienceDaily, 16 August 1999. Juske Horita and Michael E. Berndt, "Abiogenic Methane Formation and Isotopic Fractionation Under Hydrothermal Conditions" [abstract], doi:10.1126/science.285.5430.1055, p 1055-1057 v 285 Science, 13 August 1999. The new pathway requires high heat and pressure, not available in space or on small bodies like comets. More tests are described throughout this website. Cosmic Ancestry is a fully scientific theory. There is abundant scientific evidence in favor of Cosmic Ancestry. The consensus account of evolution and the origin of life on Earth (herein called neo-Darwinism) has not been established. Neo-Darwinism reqires a violation of the fundamental principle that logical entropy never decreases in a closed system. There is no reason to assume that the Earth is a biologically closed system. The question between Cosmic Ancestry and neo-Darwinism is not settled and should be left open. Are there any whole cells or virus particles on or near comets? Is there any evidence on the surface of the moon for life in space? Is there evidence in the high atmosphere for any cells or virus particles from space? Can cells survive for millions of years? What information, if any, is contained in silent DNA? If you "rewind the tape" of evolution, do you get a different result, or the same one? Are any genes needed by higher life contained as silent DNA in bacteria or viruses? Which theory better predicts the chemistry of comets and interstellar dust? Should the question between neo-Darwinism and Cosmic Ancestry be left open? In the nineteenth century, Louis Pasteur observed that one cannot prove a negative (28). His principle that life comes only from life is a prime example of a negative principle. Pasteur could defend it only by demonstrating that each counterexample — each alleged example of life from nonlife — was actually the result of incorrect, unsterile procedure. Of course, one experiment could still falsify Pasteur's principle. In the twentieth century, philosopher of science Karl Popper made a virtue of Pasteur's situation. Popper said that a theory can be called scientific only if it comes with tests that could prove it false. Pasteur's principle satisfies that requirement. Cosmic Ancestry also meets Popper's falsifiabiliy criterion for science. In fact, Cosmic Ancestry is falsifiable to an even greater extent than Pasteur's principle, for two reasons. 1) Not just the origin of life by natural means, but also cumulative evolutionary progress in a biologically closed system is considered impossible in Cosmic Ancestry, and 2) Falsification tests can be performed in biology or computers, because computers depend on lengthy encoded instructions and are subject to the same "logical entropy" principle as life. Of course any falsifying experiment would need to be repeatable and convincing, but such tests are easy to propose, especially for computers. The mainstream theory contains the principles that life can somehow arise naturally from nonliving chemicals, and somehow evolve in a biologically closed system from that beginning to forms like the ones we have on Earth today. What tests could falsify these principles? 17 Oct 2018: Results from the Japanese mission Tanpopo "support the panspermia hypothesis." 3 Jun 2014: ...Nonscience and pseudoscience..., Karl Popper paraphrased in WSJ. 11 Mar 2010: Tanpopo will collect particles in space to test panspermia. 12 Dec 2007: Shuttle experiment to study effects of space on bacterial spores. Foton-M3 mission to launch European experiments, ESA, 11 Sep 2007. 15 Apr 2006: The Evolution Prize will be launched hopefully at ALife X.
R.M.E. Mastrapa et al., "Survival of bacteria exposed to extreme acceleration: implications for panspermia" [abstract], p 1-8 v 189 Earth and Planetary Science Letters, 30 June 2001. 2001, June 12: Transpermia — A web article about interplanetary panspermia. 2001, March 6: Microbes survive after a simulated meteorite impact. 2000, July 24: Germ cultures will be sent on a suborbital rocket ride to see if they can survive in space. 2000, February 14: NEAR spacecraft achieves orbit around asteroid 433 Eros. 2000, January 18: A robot to look for meteorites in Antarctica is being tested. 1999, January 19: The 6th Bioastronomy Conference will be in Hawaii August 2-6, 1999. 1. Christopher F. Chyba, "Extraterrestrial amino acids and terrestrial life" p 113-114 v 348 Nature, 8 November 1990. 2. Simon J. Clemett, Claude R. Maechling, Richard N. Zare, Patrick D. Swan and Robert M. Walker. 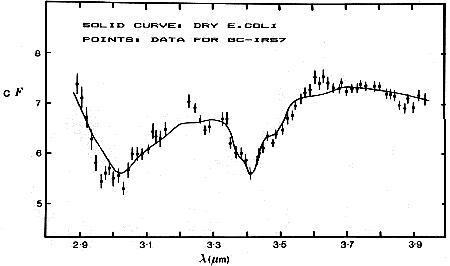 "Identification of Complex Aromatic Molecules in Individual Interplanetary Dust Particles" p 721-725 v 262 Science, 29 October 1993. 3. Kevin Zahnle and David Grinspoon, "Comet dust as a source of amino acids in the Cretaceous/Tertiary boundary" p 157-160 v 348 Nature, 8 November 1990. 3.5. S. Al-Mufti, A. H. Olavesen, F. Hoyle, N. C. Wickramasinghe, "Interstellar absorptions at λ=3.2 μm and 3.3 μm" pp 259–261 v 84, Astrophysics and Space Science, May 1982. 4. Donald K. Yoemans, Comets, New York: Wiley Science Editions, 1991. p 284-287. 5. Fred L. Whipple, The Mystery of Comets, Smithsonian Institution Press, 1985. p 260. 5.5. Welcome to STARDUST has the latest information on Stardust. 6. Jocelyn Kaiser, "NASA Decides to Grab a Bit of Stardust" p 1763 v 270 Science, 15 December 1995. 7. Helen Gavaghan, "Budget Freeze Nips Comet Camera" p 1661 v 271 Science, 22 March 1996. 7.5. TonyReichhardt, "NASA pulls plug on comet collaboration" p 469 v 383 Nature, 10 October 1996. 7.7. Sidney Fox, The Emergence of Life: Darwinian Evolution from the Inside, Basic Books, 1988. p 14-18. 8. Fred Hoyle, The Intelligent Universe: A New View of Creation and Evolution, London: Michael Joseph Limited, 1983. p 100. 9. E. K. Bigg, "Particles in the Upper Atmosphere," p 38-51 Fundamental Studies and the Future of Science, Chandra Wickramasinghe, ed. University College Cardiff Press, 1984. 10. D. E. Brownlee, "Microparticle Studies by Sampling Techniques," p 295-336 Cosmic Dust, J. A. M. McDonnell, ed., John Wiley and Sons, 1978. p 301. 11. Gunnar Bratbak, Ole Henrik Haslund, Mikal Heldal, Anne N`ss and Torill Roeggen, "Giant marine viruses?" p 201-202 v 85 Marine Ecology Progress Series. 12. Marcia M. Gowing, "Large virus-like particles from vacuoles of phaeodarian radiolarians and from other marine samples," p 33-44 v 101 Marine Ecology Progress Series, 4 November 1993. 12.2. Richard Stone, "Exotic Marine Life in a Frigid Desert," p 660 v 279 Science, 30 January 1998. 12.5. Harold. J. Morowitz, Beginnings of Cellular Life, Yale University Press, 1992. 12.7. See "Bacteria: The Space Colonists," this website. 13. 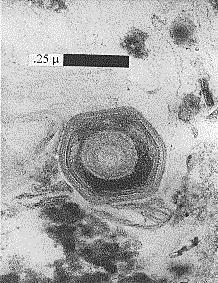 Heinz Dombrowski, "Bacteria from Paleozoic Salt Deposits," p 453-460 v 108 article 2 Annals New York Academy of Sciences, 29 June 29 1963. 14. John Postgate, The Outer Reaches of Life, Cambridge University Press, 1994. 16. Robert D. Fleischmann, et al., "Whole-Genome Random Sequencing and Assembly of Haemophilus influenzae Rd," p 496-537 v 269 Science, 28 July 1995. 17. R.N. Mantegna, S.V. Buldryev, A.L. Goldberger, S. Havlin, C.-K. Peng, M. Simons and H.E. Stanley, "Linguistic Features of Noncoding DNA Sequences," p 3169-3172 v 73 n 23 Physical Review Letters, 5 December 1994. 18. Stephen Jay Gould, Wonderful Life: The Burgess Shale and the Nature of History, W.W. Norton and Company, 1989. p 284. 19. Loren H. Rieseberg, Barry Sinervo, C. Randal Linder, Mark C. Ungerer and Dulce M. Arias, "Role of Gene Interactions in Hybrid Speciation: Evidence from Ancient and Experimental Hybrids," p 741-745 v 272 Science, 3 May 1996. 20. Jerry Coyne, "Speciation in Action," p 700-701 v 272 Science, 3 May 1996. 21. Carol J. Bult, et al., "Complete Genome Sequence of the Methanogenic Archaeon, Methanococcus jannaschii," p 1058-1073 v 273 Science, 23 August 1996. 22. Michael Mumma, Michael A. DiSanti, Neil Dello Russo, Marina Fomenkova, Karen Magee-Sauer, Charles D. Kaminski and David X. Xie, "Detection of Abundant Ethane and Methane, Along with Carbon Monoxide and Water, in Comet C/1996 B2 Hyakutake: Evidence for Interstellar Origin," p 1310-1314 v 272 Science, 31 May 1996. 23. Kim Peterson, "Hyakutake Produces Another Surprise," p 1263-1264 v 272 Science, 31 May 1996. 24. Richard Cammack, "The enzyme at the end of the food chain," p 443-444 v 390 Nature, 4 December 1997. 25. Ulrich Ermler, Wolfgang Grabarse, Sergio Shima, Marcel Goubeaud and Rudolf K. Thauer, "Crystal Structure of Methyl-Coenzyme M Reductase: The Key Enzyme of Biological Methane Formation," p 1457-1462 v 278 Science, 21 November 1997. 26. James G. Ferry, "Methane: Small Molecule, Big Impact," p 1413-1414 v 278 Science, 21 November 1997. 27. Ulrich Ermler, "Max-Planck researchers unravel the structure of the methane forming enzyme," Max Planck Society for the Advancement of Science, 17 November 1997. 28. René DuBos, Louis Pasteur: Free Lance of Science, Da Capo Press, Inc. (Plenum Publishing Corporation), 1960. p 186, 396.